The NEW way to BRUNCH! 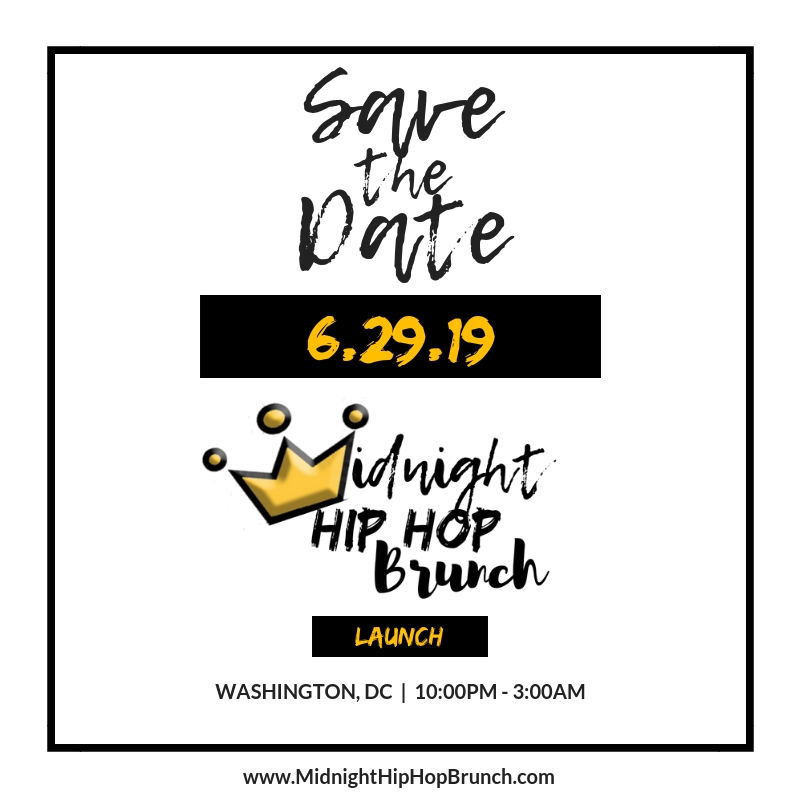 The Midnight Hip Hop Brunch DC will take place Saturday, June 29th from the hours of 10:00pm – 3:00am at a location in Downtown DC. MHHB was created to provide a brunch party atmosphere for the hip hop culture in the midnight hour. Our MHHB will be hosted by a celeb host TBA and feature our celebrity DJ who will provide the dope hip hop soundtrack for the night. Attendees will be able to indulge in a fabulous buffet style brunch menu, hookah, bottomless mimosas until midnight, champagne bottle service while grooving to the nostalgia of HIP HOP! The NEW way to BRUNCH…For the CULTURE! The MHHB is curated by Platinum Image Ent Group.